The Salon International de l'Haute Horlogerie (SIHH) 2015 is approaching fast and previews of new models are flowing. At the upcoming event, Baume et Mercier will showcase two new models part of the Hampton collection, celebrating the 20th anniversary this year. Both featuring the same self-winding movement and rectangular case (31 mm x 47 mm) in polished steel, the new Hampton Automatic models differ for the dial: blued hands and silver numerals for reference M0A10155 or gilt hands and gilt numerals for reference M0A10156. In both cases, the sword-shaped hands stand out very clearly against the off-white background. The profile of the case is characterised by the recessed surfaces at 3 and 9 o'clock which combine nicely with the domed watch crystal. With a thickness of only 10 mm, the curved case comfortably dresses up the wrist. 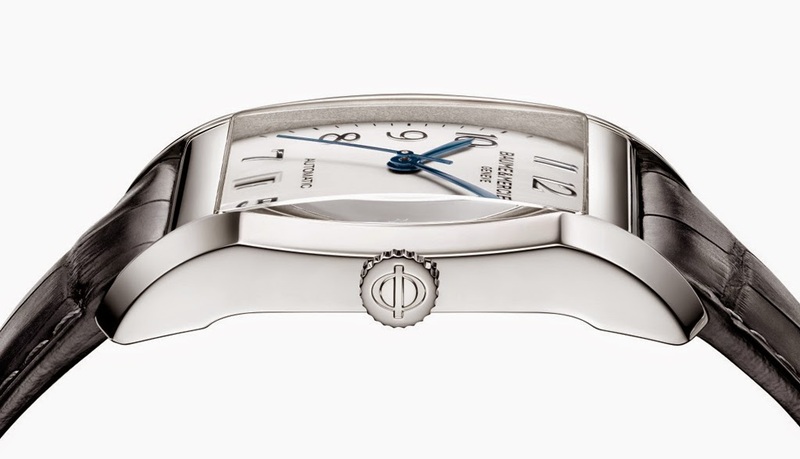 Based on the ETA2892-A2, the automatic movement can be seen through its transparent case back. The oscillating weight is personalised with snailed decor and Côtes de Genève. The movement beats at 28,800 vph and offers 42 hours of power reserve. 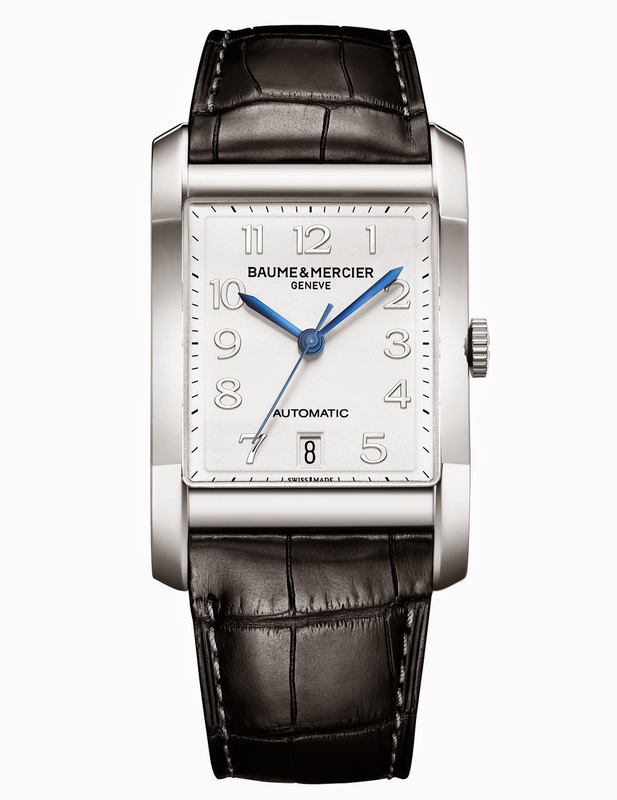 Pre-SIHH 2015: Baume et Mercier Hampton Automatic. SIHH 2015 is approaching fast and previews of new models are flowing. 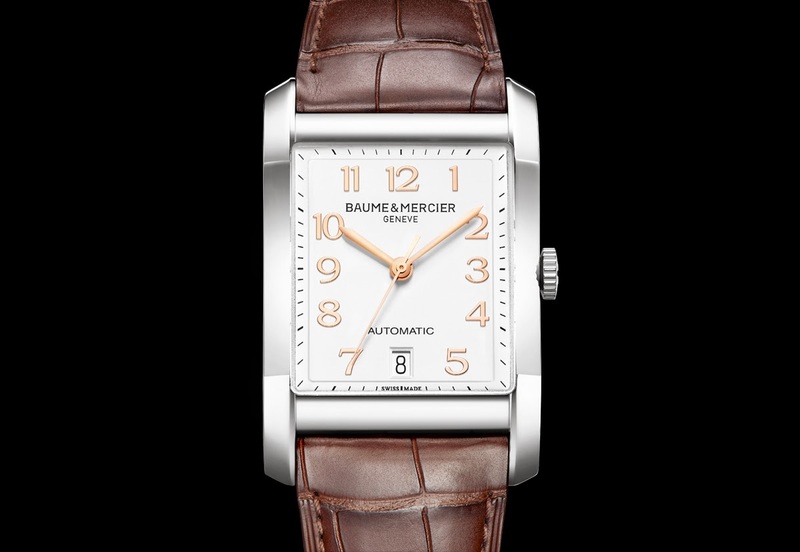 Baume et Mercier will showcases two new models part of the Hampton collection. 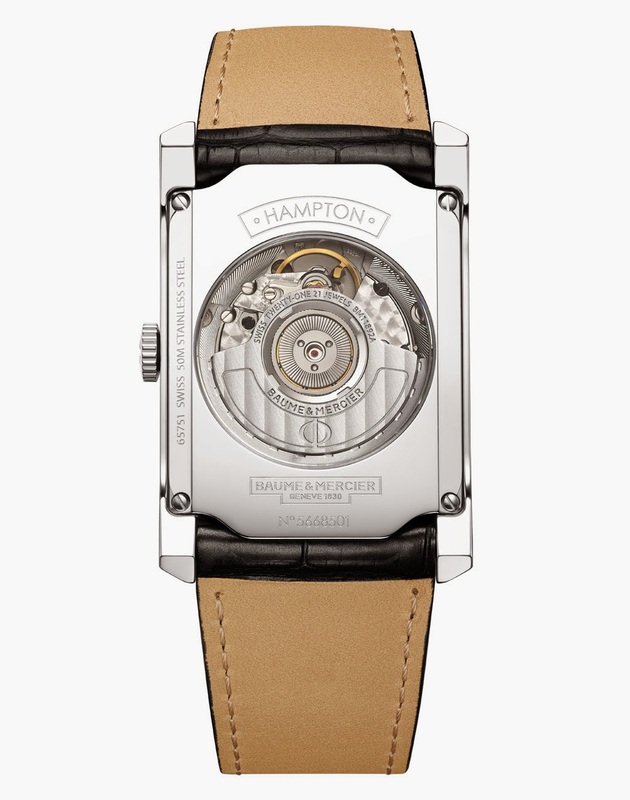 The new Hampton Automatic references differ for the dial: blued hands and silver numerals for ref. M0A10155 or gilt hands and gilt numerals for ref. M0A10156.